The professional cannabis farm found on the Camperdown Industrial Estate, Burradon. Members of an organised crime group, including a North Shields man, who attempted to flood the North East with class A and B drugs have been jailed for more than 45 years. The gang has been sentenced for a conspiracy that involved the large-scale supply and distribution of cocaine and cannabis across the Northumbria Police force area. More than a kilogram of cocaine which was seized by police. 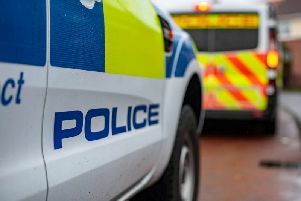 Officers spent more than six months investigating the drugs ring, which operated out of a number of addresses in Blaydon, Winlaton, Burradon and North Shields. At Newcastle Crown Court yesterday (Tuesday, November 13), 11 men were handed a combined sentence of more than 45 years behind bars for their part in the operation. The court was told the crime group was spearheaded by Tony David Ross, 34, his father Anthony Thompson Ross, 55, and Brian Stewart Moulding, 38. Police carried out a number of raids in October 2016 as part of the investigation, initially arresting nine men, including the three supposed ringleaders. Gang member Liam Terual, from North Shields, who was sent to jail for three years. More than a kilogram of cocaine which was being circulated by gang members was seized and a dozen addresses raided. A professional cannabis farm was also located, which the gang was running on the Camperdown Industrial Estate, Burradon. The gang was convicted in July 2018. Eleven of those were in the dock yesterday and sentenced for their crimes. Robert Paul Stewart, 37, of Hesketh Way, Liverpool, sentenced to three years' imprisonment after being found guilty at court of conspiracy to supply class A drugs. Detective Inspector Don Gibson welcomed the sentences and said a dangerous gang who posed a big threat to communities across the Northumbria force area has now been taken off the streets. He said: “This organised crime gang has wreaked havoc across the North East, targeting the most vulnerable in our communities. We are delighted that they have now been brought to justice. “Sophisticated gangs like this often believe they are above the law and think they will never get caught. Their operation was vast and their conviction was the result of a lot of hard work from my team, who carried out months of investigation. “There is no doubt that the operation they ran posed a big threat to the fabric of our society. The region is a safer place with these individuals behind bars. “I would like to thank all of the officers who’ve worked on this case for their hard work and dedication to ensure the perpetrators had their day in court and paid for the crimes they have committed. A 12th man, Tony Wayne Trott, 30, of South Terrace, Sunderland, admitted conspiracy to supply class A drugs and will be sentenced on a future date to be confirmed.